Searching for a home, Canizaro considered moving to Sacramento and Columbus, and even weighed merging with the Birmingham Stallions. However, he was particularly intrigued when he visited Portland. It was a fairly large market with a reasonably adequate facility by USFL standards in 32,000 seat Civic Stadium (the stadium capacity has since been reduced). The move to Portland was announced on November 13, 1984. It marked a return home of sorts for Coury, who had led the World Football League’s Portland Storm in 1974. Initially, Portland seemed to welcome the Breakers with open arms. The Breakers sold out 6,000 of its highest-priced tickets within 12 hours. 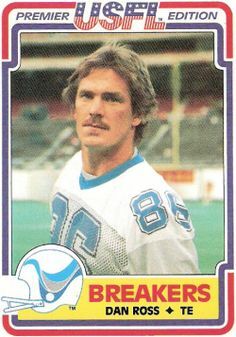 The Breakers were one of nine teams slated to play in the USFL’s first fall season, and were slated to be one of only two teams west of the Mississippi River. However, they had only drawn 19,919 per game, nowhere near enough to break even. After talks to merge with other teams failed, Canizaro folded the franchise while the USFL’s antitrust suit against the NFL was underway, citing over $17 million in losses over three years. Canizaro was the only league owner who moved his team twice and both moves were tremendous distances. There was some discussion of transplanting the Denver Gold organization to Portland, but this idea was ultimately abandoned as the Gold (whose owners opposed moving to the fall) instead merged with the Jacksonville Bulls. The entire league suspended operations not long afterward after it was awarded only $3 in damages. The Portland Breakers were an American football team that played in the original United States Football League (USFL) in the mid-1980s. 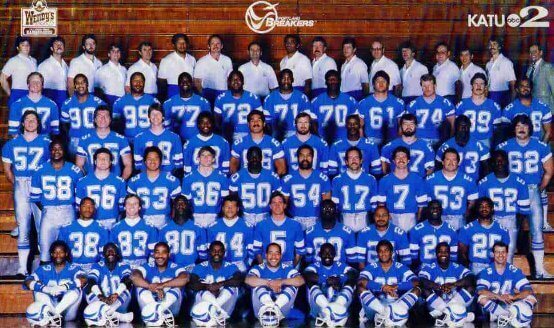 The Breakers were one of nine teams slated to play in the USFL’s first fall season. However, the USFL’s antitrust suit against the NFL was underway, Canizaro folded the franchise, citing over $17 million in losses over three years. Who is the greatest Portland Breakers?